While disposable table coverings have their place, they can't replace the warmth and elegance of fabric table linens. Be certain your wedding or party has that "special touch" with coordinated linens and leave the laundry to us! Why Buy When You Can Rent? 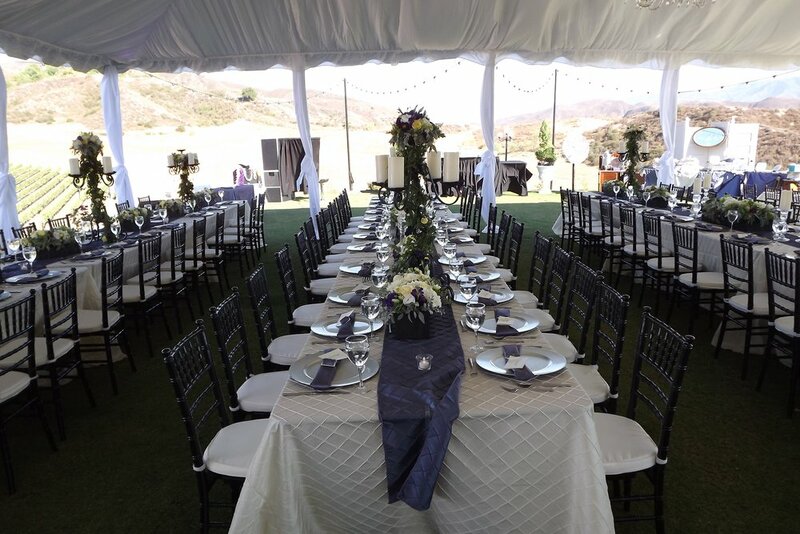 Our tablecloths, napkins, pleated table skirts and chair covers come in a variety of colors, fabrics and sizes to suit your needs. For your table or ours, we will gladly recommend the right item for any occasion. We suggest that you give us 48 hours on all colors to assure that your selection is available and three weeks for specialty fabrics. Please scroll down to look at our tablecloth color options, and view our pleated table skirts for convenient color coordination. Questions? Call: 786-378-9762 or use our Online Form and let the Party specialist assist you!